Postcards and photos that I will be buying with my print purchases in support of talented unknown artists. PoizonMyst has started a donation pool! 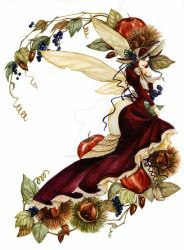 Artwork by PoizonMyst is shared under a Creative Commons License, so she has put out her hat like a busker at the train station. Giving a llama, +fav, or +devwatch. Encouraging my kids to improve their skills. Making a small donation of points. Purchasing a postcard or small photographic reproduction from my print shop. Giving accessories to my llamas or awarding other badges. Complimenting my dA Muro with sprites. Giving a gift from my wishlist. Giving 1 month dA premium membership. NOTE: This is PoizonMyst's personal donation pool. Donations towards prizes for Scifi-Fanatics competitions should be made at Scifi-Fans. I will give you a llama for a point but you can't buy my comments, +favs, or watches ... wouldn't you rather know that I genuinely appreciate your art? Kiriban at Ninja Llama (500 llamas) - 15 points. Congratulations to AurulentSoul for reaching my Super Albino Llama kiriban! Purchase their postcards or small photographic prints. Award badges and buy accessories for their llamas. Offer kiribans to lucky viewers of my profile. And if I manage to earn enough I would love to give away premium memberships and run major competitions. I encourage others to do the same if they can afford it. What goes around comes around. If you love someone's work - let them know - it doesn't have to cost much to show your appreciation. Yo lo siento por eso. Los hablantes nativos de español, por favor, háblame en español y ayudar a corregir mis errores. Is it a bird? Is it a plane? No! It's better than life! It's the group at the end of the universe! It's moving. It's alive! It's Scifi-Fanatics and we are ready to beam you aboard! Scifi-Fanatics is a group for fanatics of Science Fiction Movies & Television Shows. When you look at our home DVD collections, you'll find movies with Spaceships and Aliens; AI Robots and Holograms; Supernovas and Interstellar Fluffy Gas-clouds; Time-machines and Teleporters; and multiple boxed sets containing the word 'Star' - Star Trek, Star Wars, and Stargate - just to name a few. Established as Scifi-Fans a long time ago, in a galaxy far, far away; our modest little club has recently rebooted as a group! Better than it was before. Better ... Stronger ... Faster. Now known as Scifi-Fanatics, we are exploring the final frontier of for fresh recruits to fill our shiny new gallery with the best Science Fiction Fan Art in this sector of the galaxy. Service guarantees citizenship! Our featured folder includes one piece of Fan Art from each of our contributing members - so everyone has a place in the spotlight. This compendium quickly communicates an overview of our art and artists to visitors and new members of our group. We have folder categories representing all your favourite scifi tv shows and movies, including many specialised titles. When you can't find a group in which to submit your Fan Art from your favourite scifi Movie or TV Show, Scifi-Fanatics fills the void ... because we love scifi!! Logic dictates that a group will operate at optimum efficiency if members have the freedom to participate in building the community around their needs, so we have opened the gallery and ship's blog to automatically accept contributions from our crew. We encourage members to use the Scifi-Fanatics blog like a group forum, starting new threads for scifi related discussions. Important and popular threads will be stickied in our blog page "Notebook". There is nothing wrong with your computer monitor. Do not attempt to adjust the picture. Hailing frequencies are open and our members are controlling transmission. Please read our Gallery and Blog submission protocols for further information. Blogs planned for the future include a compilation of Scifi PLZ accounts and emotis, and a database of scifi tv and movie resources on deviantART and the web. Such extensive archives would require much participation from dedicated Scifi-Fanatics - please send a note to PoizonMyst if you would like to contribute toward this mission. Crossovers are welcome but, as much as we love them, Scifi-Fanatics is a Fan Art group and as such does not accept submissions of scifi concept art and OCs to the gallery. Such artworks are moving into a land of both shadow and substance, of things and ideas ... a wondrous land whose boundaries are that of imagination. That's the signpost up ahead. Your next stop: The Affiliate Zone! One look at our forever expanding list of out-of-this-world affiliates will satisfy all your scifi art needs. Each one of our carefully selected affiliates is related to the scifi genre or science (except for a couple of generic tv and movie lovers) - so locating even more groups to promote your scifi artworks is easier than phoning home. To infinity and beyond! Alternatively, if your group would like to affiliate with Scifi-Fanatics, we would be happy to consider your request. Please read our Affiliation Guidelines prior to making an application. Every member and watcher of Scifi-Fanatics receives a llama from Scifi-Fans, but did you know that you can give a llama to Scifi-Fanatics? Civilian, are you doing your part? Make it so! There are a total of TWENTY (20) distinctly different science fiction tv and movie franchises represented here. The FIRST (1st) person to name all 20 scifi titles correctly will receive 50 points, in addition to being credited for their effort on PoizonMyst's Scifi-Fanatics promotional journal feature and in the deviation description. 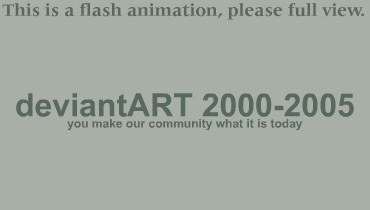 Entry is open to all members of deviantART. Click the thumbnail to view details on how to enter! Qapla'! BTW, if you are feeling generous and would like to donate points towards dazzling prizes for inspirational competitions at Scifi-Fanatics, please head on over to Scifi-Fans. Thanks! Ultimately we would like to award premium subscriptions, points, and llama badges to competition winners. At this time Scifi-Fanatics is not interested in a premium subscription to make it's pages shinier or the gorram administration easier - we would rather return the proceeds from our Scifi-Fans donation pool directly to members of Scifi-Fanatics. Scifi-Fans remains as an archive of our original club - Though it is still possible to join and watch or affiliate with Scifi-Fans, we no longer take submissions. Come and join us at Scifi-Fanatics to participate in community activities! It's September 14th which means it's that time of the year again and your special day is here! We hope you have an awesome day with lots of birthday fun, gifts, happiness and most definitely, lots of cake! Here's to another year! Hey there I have a handwritten petition in my gallery as well as a new journal. 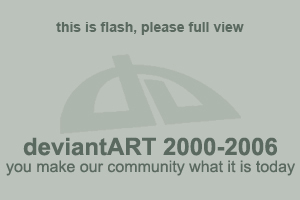 I'm a newbie member of deviantArt and I'm aiming for a 636 Pre-paid 3 Months Membership ! It's polite to give to the needy anything will do, and in return I'll do something for you. Send me a note if your interested! Awe thanks so much for the kind thoughts. I had a lovely day.